A rectifier is a machine which is necessary for converting alternating current (AC) to direct current (DC). As Mak Plus Power Systems, we supply high quality rectifier solutions for our customer's satisfaction. Our long year experienced technical team work carefully for the production of rectifier, test the machines according to a long test procedure to be sure the machines are quality. In addition to this, we produce different kind of rectifiers when you need, not only standard rectifier. As Mak Plus Power Systems Germany, the rectifiers (36V 1000A) we offer are equipped with the latest AC power control unit. This unit ensures that the chances of malfunction are minimized and it also increases the functions of the 10V 1000A rectifier. Our galvanizing rectifier is fully automatic to reduce the waste of time. Rectifier can identify the surface of the component automatically and arrange the needed operation time according to this components. All the thing that operators has to do is , entering the value of the needed thickness and running the 36V 1000A rectifier. 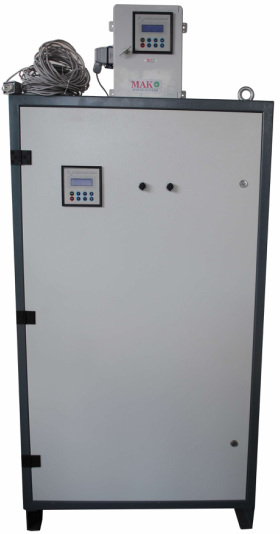 36V 1000A rectifier can also calculate the temperature of the pool easily and automatically. It means that, operator does not have to spend time to measure the pool temperature using an external device. The need value for the temperature of pool is 18 – 22 Grads Celsius. The rectifiers which offer by Mak Plus Power Systems Germany come with a selective working program. Normally in most of the plating pools, a selective working program is used in order to remove unwanted metals from the pool, but this process has to be done either manually or with an external device. With MRS plating 36V 1000A rectifiers that Mak Plus Power Systems Germany offer you, this process is done automatically, using the selective program. When the operator starts the process, the output voltage keeps increasing from zero, and then turns back to zero again. This process can be repeated indefinitely or for a limited time according to your needs and wishes. This way, you can spare your work force. Mak Plus Power Systems Germany offers you standard plating and galvanizing rectifiers that run with a very user friendly interface. With the remote control, the operator can run the device from a distance. The operating system is fully compatible with all automation systems that run manually or with an automation system.